Piotr is a graduate of the Jagiellonian University in Cracow (BA – Political Science and MA – National Security). He has been working as a journalist for several years. In recent years, he has reported the most important events in Poland, including NATO Summit in Warsaw (2016), World Youth Days in Cracow (2016) and UEFA Euro 2012. 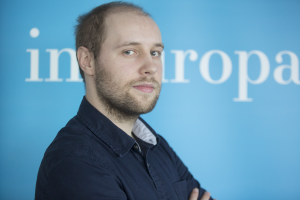 Currently, he is a journalist and news online editor for the portal RadioZET.pl in Poland. He is interested in Polish political issues and foreign affairs, especially in the European Union and the United States.